Chris Davis: 1/4 with his 10th HR while hitting .239. Davis will be at .229 by next week. Johnathan Schoop: 1/4 with his sixth HR while hitting .269. Schoop is one of those boring non-speed guys who get a short leash by the fantasy baseball community. He was quiet for awhile which is why Schoop ended up on so many waiver wires but this is a decent home run hitter at a shallow position who at least should be on a bench. Jose Berrios: 6.1 IP 4 H 3 ER 2 BB 7 K with an ERA of 1.66. Boy did Berrios skate by here as he gave up three solo home runs. Another runner or two on and this outing would have looked a whole lot different. Be that as it may, three wins in three tries and a fully reclaimed status as a top power pitching prospect has been a tidy development. Domingo Santana: 1/3 with his sixth HR while hitting .268. I really like what Santana has been doing with is six homers and 4 steals but the average is headed downward soon due to a lucky .348 BABIP. In his favor though, Santana has cut his K/9 rate from 32.4 a year ago to this season's 26.6. Kevin Pillar: 1/5 with his seventh HR while hitting .303. When he is not acting like a fool, Pillar can really hit and run. Everything looks good here as Pillar is drawing walks (7.1 BB/9) and not striking out at all (13.2 K/9). With just slight .329 BABIP, Pillar is absolutely legit. Devon Travis: 1/5 with his third HR while hitting .238. Man Travis has been such a tease the last two seasons that it is tough to get pumped about this just yet. Jose Bautista: 2/4 with his 8th HR while hitting .241. Bautista has been hot of late and as typical of these kind of players, keep him entrenched in the lineup until the K's pile up again. That is where we are at with the veteran. Keon Broxton: 1/3 with his 5th HR while hitting .271. Looking forward to seeing where his numbers end up by the end of the season. Thinking .265/14 HR/30 SB. Jose Abreu: 4/5 with his 10th HR while hitting .291. So I said back in April Abreu would be hitting .290 with power like he always does. Yup. Patience as always is needed. Jake Lamb: 1/4 with his 13th HR while hitting .287. Lamb has been beating the BABIP curve all season so maybe he can dodge this for a bit more. It won't last totally but Lamb at the very least is firmly cementing his status as one of the very best power hitters in baseball. Fernando Rodney: scoreless ninth for his 12th save with an ERA of 7.13. I have to admit that Rodney has been money of late. This guy is the envy of cats everywhere for as many lives as he has. Jose Quintana: 8 ER in 4.1 IP with an ERA of 4.82. Quintana's BABIP has been in the unlucky territory all season and so that is partly to blame here. However Quintana is not helping himself either with the homers. Khris Davis: 1/4 with his 14th HR while hitting .220. Well April was nice. May not so much. Sonny Gray: 7 IP 3 H 1 ER 1 BB 11 K with an ERA of 3.34. Wow. So Gray is clearly not done yet and full health has him rejuvenated. There is no trade market for Gray so those who drafted him very late this spring need to see how long he can do this. I am optimistic. Adam Duvall: 1/4 with his 10th HR while hitting .264. Duvall is now like old news with Scott Schebler doing his thing but the former is not doing too shabby himself. Carlos Santana: 3/4 with his 5th HR while hitting .230. Maybe shifting Santana into the outfield for a few games snapped him back to attention. Listen by now you should know the ends justify the means when it comes to owning Santana. 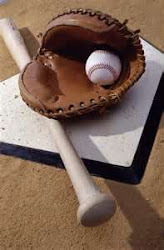 A rampant hot and cold player, you need to have the patience to see through the struggles so you can be there when the homers begin to fly out. Carlos Gonzalez: 3/5 with his 4th HR while hitting .252. It seems like CarGo crested the second half of 2015 and has been fighting uphill since. By now his owners have had him plastered to the bench but now could be the time to dust him off. The big threat though is a second half trade that would send Gonzalez away from Coors Field. Jeremy Hellickson: 7 ER in 5 IP with an ERA of 4.28. Brutal start no doubt and it is outings like this that get a borderline guy like Hellickson sent off your roster before the next sunrise. Didi Gregorious: 2/3 with his third HR while hitting .330. Man Gregorious has done nothing but hit going back to last season. He truly has reached another level since coming to the New York Yankees. 20 home runs would have been likely if not for the DL stint but still Gregorious is fully validaing 2016. Luis Severino: 8 IP 4 H 0 ER 1 BB 7 K with an ERA of 3.11. I don't want to read anymore "should I drop Severino" questions ever again. Like ever. Anthony Rendon: 1/4 with his 8th HR while hitting .277. Three home runs in two games now for Rendon. 2014 is becoming a distant memory now but Rendon still has changed as a player in terms of not running much at all and the average not as potent as his minor league or early major league tenure. Tanner Roark: 7 IP 8 H 1 ER 0 BB 8 K with an ERA of 4.32. Good bounce back for Roark who went through some struggles for a bit. I am a fan and actually an convert of his since the K's began to show up. Stick with him as Roark will be a nice SP 4 the rest of the season. Albert Pujols: 1/3 with his sixth HR while hitting .244. I think the end is going to be very ugly for this guy. Steven Souza: 2/3 with 2 home runs (7 for season) while hitting .255. Visions of Souza's big April after taking May almost completely off. By now Souza is back to his mediocre average ways to go with decent power/speed. In other words, no breakout. Brad Hand: scoreless ninth for first save with an ERA of 1.73. Bam! Told you guys to pick up Hand a week ago in predicting the demotion of Brandon Maurer. In Padres fashion, it took that long for a save chance to confirm this but Hand is now the fully deserving guy. What I really loved here is that Hand loaded the bases with no outs and then picked up two strikeouts and a fly out to end it. That my friends is a closer who is mentally ready for the gig. Mike Napoli: 2/4 with his 11th HR while hitting .198. Napoli has like 16492645 home runs over the last 10 days and they represent almost the same amount of total hits in that span also. Chris Sale: 7.1 IP 6 H 3 ER 1 BB 6 K with an ERA of 2.34. No double digit K's? Come on you bum. Adam Frazier: 2/2 with his second HR while hitting .370. Leadoff spot and hitting =pick him up. Anthony Rizzo: 3/3 with 2 home runs (11 for season) while hitting .238. Hope you bought low when I said to do so. Group Rizzo in with Manny Machado as first round monsters whose unlucky BABIP's are making it seem like they are struggling. Alex Bregman: 3/4 with his third HR and fourth SB while hitting .261. Bregman doesn't do good starts and so the outlook the rest of the way seems rosy given that he is hitting for power now. He was too talented to stay down for long anyway. Mike Leake: 8 IP 4 H 1 ER 0 BB 5 K with an ERA of 1.91. A .236 BABIP is fueling things for Leake who looks like he is aiming for a Cy Young. Like I always say with players like this, the boring veteran label tag applies so there is not going to be fair value given back in any trade. Ride it out.